As the weather warms, we tend to reach for fresher and healthier foods for our bodies, but what about hair food? Our strands need to be nourished as well. 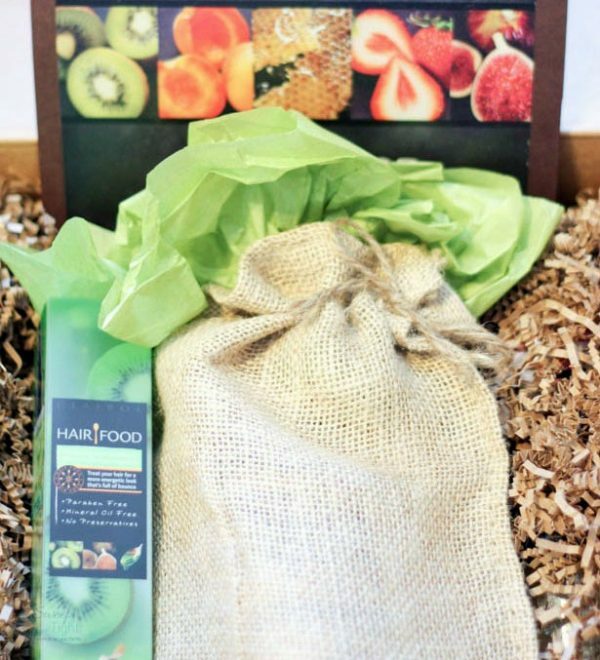 I was sent a basket of the new Hair Food Care System from Clairol to try out and this post contains affiliate links. All opinions are my own. Taking a shower or bath doesn’t have to be a tedious chore. It can be a luxurious way to pamper yourself each day. Using products with soothing ingredients and amazing scents can turn your shower into an aromatherapy spa experience. As soon as I opened the box of Hair Food I wanted to eat them. With ingredients like honey, apricot, kiwi, fig, strawberry, and ginger, I was tempted to do more than sniff them. Thankfully, they included a couple edible items in the box. Hair Food Moisture Collection: A balanced recipe to soothe dry hair, this collection includes honey and apricot to revitalize and smooth hair cuticles. Pamper yourself with the Hair Food Moisture Shampoo, Conditioner, and Hair Mask for a complete hydration makeover. Hair Food Volume Collection: A fragrant blend of kiwi and exotic fig, this formula is designed to give your hair back its bounce and fullness. The zesty citrus system includes a shampoo, conditioner, and thickening treatment. Hair Food Root Cleansing Collection: Similar to how a juice cleanse can detoxify your body, this formula cleanses the hair of dulling residues and build-up. Bring back the luster and shine to your hair with a nutrient-packed blend of strawberry and ginger. 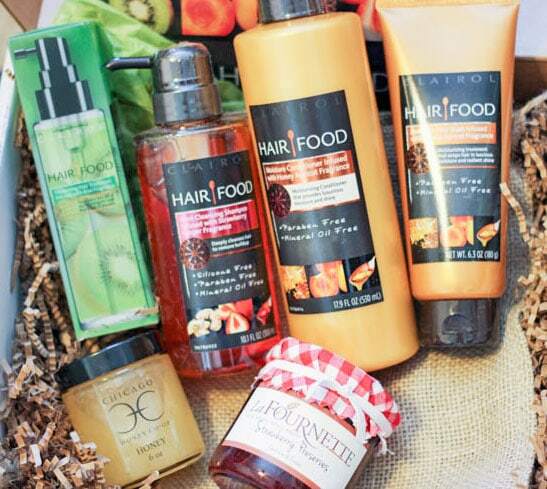 Find the Clairol Hair Food System at Target locations nationwide and Target.com. Chicago residents — stop by the Wells Street Art Festival on June 13th and 14th, 2015 from 11 am to 6 pm! The Bike Brigade will be peddling through the neighborhood and park to share samples and hair tips. Which Hair Food formula does your hair crave? Oh man, my hair probably needs a few of these! The root cleanse and definitely the Hair Food Volume Collection! My hair is so flat! :/ Thank you for sharing! Oh I need to try this. I’d definitely choose the volume one. My wife is in the market for something new for her hair since it is getting more brittle as she ages. Forwarding to her! Someone’s going to score some brownie points! =D This stuff really does look promising. These look like some fun products. I love trying new food & beauty stuff! I have never heard of hair food but we have put food IN our hair 🙂 Avocado and coconut oil make good hair masks! Hair Food is probably quicker and easier! My hair is SO lifeless. I could use a little food for it! I should try this and see if I can revive my hair! I have never heard of this product, look like it could be cool to try! I could stand all of this for my hair. I do so much to it with coloring and styling, it definitely needs some help. OoOh! I have to try this stuff! I have a slight shampoo/conditioner addiction!